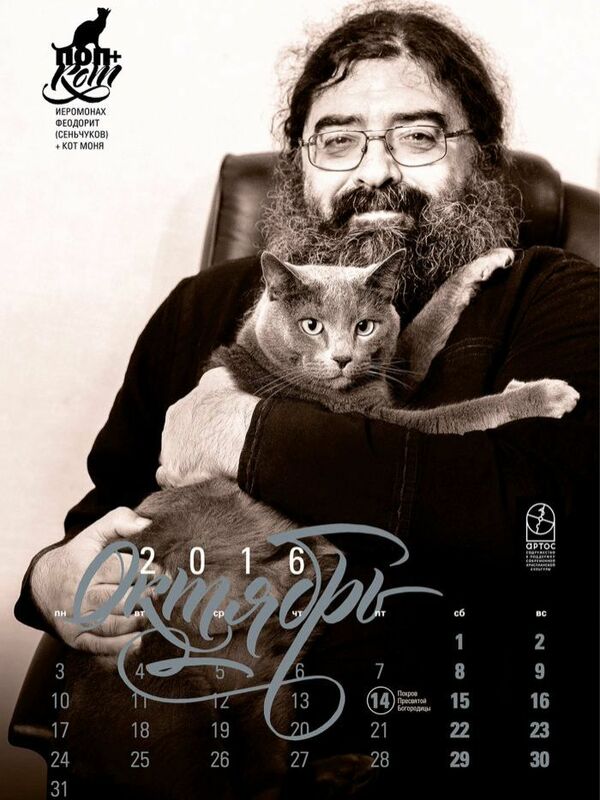 It may be the most original cat calendar in a crowded field of contenders. The Australian Broadcast Corp. reports that twelve bearded Russian orthodox priests and their cat companions are causing a quite a stir. Six beautiful and calm cats posed with their human companions for these series of photographs by Ana Galperina. ABC/Twitter Image . The portrait style photos are dignified yet intimate as the cats are seen sprawled on the holy men’s chests and laps or draped around their necks. It is the first public venue showing the Russian priests up close and personal, according to Luchenko. The ABC online article reports that the calendar is not endorsed by the Russian Orthodox Church, which does not seek out publicity and prefers to print religious-themed calendars depicting holy icons. It is the natural quality of the photographs and the shared, animal-human bond that comes through in these simple domestic portraits that set them apart. “It’s all their own cats — nothing was staged,” Luchenko said. “It was whoever had a cat and was ready to pose for a photo.” No one is speculating about why so many priests have cats as opposed to dogs, or whether the cats themselves possess a spiritual quality. However, the photos radiate an appealing tranquility. The Russian calendar had an initial print run of 1,000 copies but demand may increase. Several churches had ordered them to sell in their shops, according to the report. How can I buy this calendar? Not sure. Let me check. One of our readers found a way to order it. eagerly awaiting instructions for buying it! 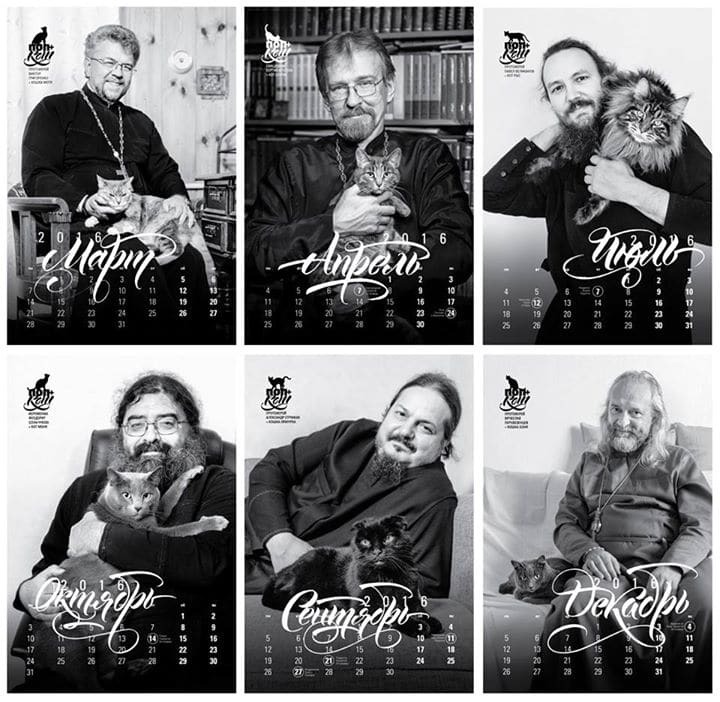 Would love to buy Russian Orthodox cat and priest calendar. I am Orthodox and find this very heartwarming. Very appealing priests with cats. I would like to order this calendar also. I want to place an order for this calendar and reserve the next one. How can I order it?